Last week I wrote about the supposed 40% speed boost seen in an always-connected PC powered by an overclocked Snapdragon 845. 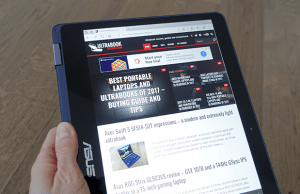 While the Snapdragon 835 has delivered tepid performance (at best) in the current crop of Windows-on-Arm (WoA) PCs such as the Asus NovaGo, Lenovo Miix 630, and HP Envy x2, the speed boost seen with the 845-driven mystery device was at least a positive sign for the future development of WoA devices. It turns out the CPU that showed up in Geekbench last week probably wasn’t a Snapdragon 845, but instead a “new” chip just announced at Computex: the Snapdragon 850. I put “new” in quotes because the 850 seems to mostly be based off the 845 but with optimizations for larger form factors. What will distinguish the 850 most clearly though is that it will exclusively power WoA devices — that’s right, it will never show up in phones. The Snapdragon 850 is newsworthy as the very first ARM chip designed for Windows 10 devices, but it also has a fair amount of enhancements that make it more than just an overclocked Snapdragon 845. The 850 boasts 30% faster performance, 20% more power efficiency, 20% faster LTE, and added AI, 4K encoding, and display output functionality over the 835. 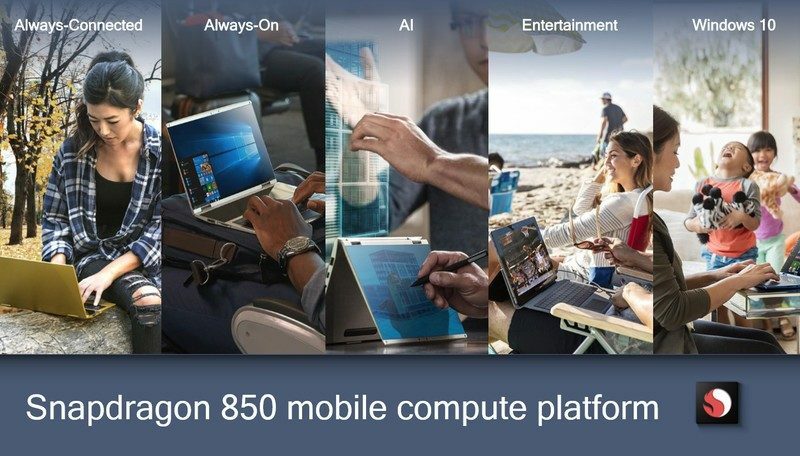 There are also interesting implications in the name change: Instead of being called a “Mobile PC Platform”, the 850 is now a “Mobile Compute Platform”. As the marketing material suggests, this change in nomenclature highlights the possible use of the SoC in more innovative form factors, such as Asus’s Project Precog or the legendary Surface Phone. What’s in a name? Perhaps the future of mobile computing. It looks indeed like Qualcomm and Microsoft are emphatically sending naysayers (such as myself) the message that they are investing heavily in WoA devices for the future. Qualcomm says to watch for devices using the new chipset around holiday season last this year. it is the latest processor introduced by the qualcomm for windows pc. 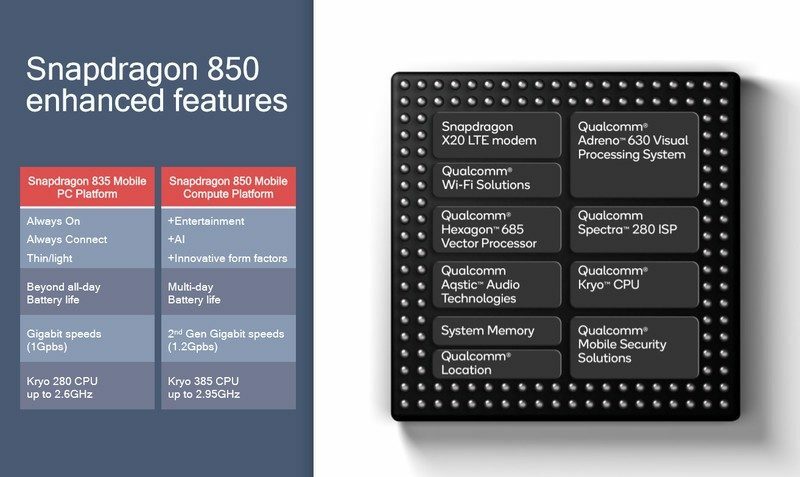 snapdragon 850 said to deliver wonderful performance as it is developed version of qualcomm snapdragon 845.